From 17 to 28 June 2019, The Hague Academy will convene participants again for one of its most popular and highly-relevant courses. This course will help you to understand the drivers of corruption. You will strengthen your analytical skills and learn about the instruments necessary to develop integrity and anti-corruption policies and programmes in line with recent international initiatives, legislation and agreements. This course is intended for consultants and professionals working for; government, international organisations or NGOs and who are involved in anti-corruption, transparency and accountability processes in relation to development and governance. Ronald MacLean-Abaroas is a former Bolivian politician and leading international expert in decentralization, devolution of government powers to local citizens, and anti-corruption strategies. He was the first democratically elected mayor of La Paz in 1985, and was reelected four times until 1997. He ran for President of Bolivia in 2002, before joining the World Bank as the Lead Public Sector Management Specialist on Governance, Decentralization, and Poverty Reduction. 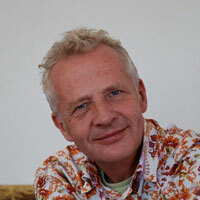 Henk Bruning is an international expert in Leadership, HR, Governance and Integrity. Henk has headed the integrity programme of the municipality of Amsterdam, where he introduced dilemma trainings, updated the code of conduct and procurement procedure, and was responsible for corruption risk analysis. He has used this experience to support governments around the world in establishing effective integrity programmes and has authored the book “To be honest: Finding Inspiration and Integrity in Public Service and Business”. Ana Vasilache is a consultant and former Director of the Partners Foundation for Local Development, a Romanian NGO enhancing democratic processes worldwide and strengthening civil society. Since 2004, Ana has addressed corruption in local governments through the Central and Eastern European Anti-corruption Network. 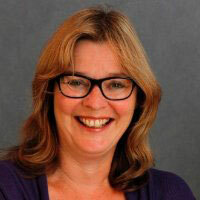 Ina de Haan is Senior Auditor at the Dutch Court of Audit. She is an expert in the application of the SAINT (Self-Assessment INTegrity) methodology, a tool which enables public sector organisations to assess their vulnerability and resilience to integrity violations. 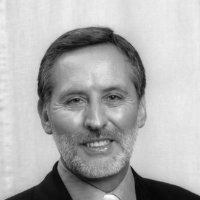 Alain Hoekstra is an integrity, ethics & compliance expert with more than 15 years of experience. He currently serves as Senior Policy Advisor for the Dutch Ministry of the Interior and Kingdom Relations and is one of the founders and directors of the Dutch National Integrity Office. 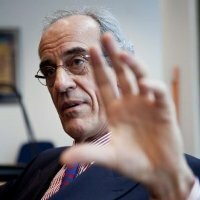 Paul Vlaanderen serves as the Board Chair of Transparency International Netherlands. He previously served as the rotating president of the global intergovernmental anti-money laundering Financial Action Task Force (FATF) in Paris. And he has experience working for the Dutch Ministries of Finance and Economic Affairs and the Organization for Economic Cooperation and Development (OECD). 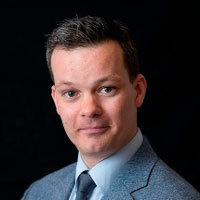 Dr. Toon Kerkhoff is Assistant Professor of Governance and Global Affairs at the University of Leiden. He is an expert in the history of Public Morality and Corruption in the Netherlands. Participants will also gain insights through several study visits to Dutch institutions including the National Public Prosecutor for Corruption based in The Hague. For questions or more information about this course, please direct your inquiry to info@thehagueacademy.com or call +31(70) 37 38 695. The Integrity and Anti-corruption course will take place in The Hague from 17 to 28 June 2019. Applications are due by 17 May 2019. Incomplete applications will be neither accepted nor considered in the selection process.